I have many quilt making skills but that has never stopped me from learning or refining my skills. 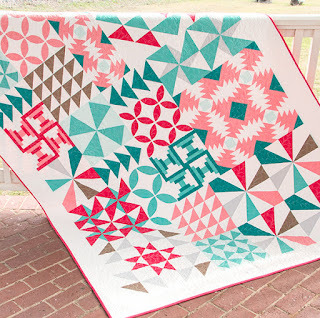 When the Fat Quarter Shop announced that they were doing a skill building quilt I felt I should check it out. The Kaleidoscope block is the first in a series of nine blocks that will be featured. Each meant to build up your confidence and skills. 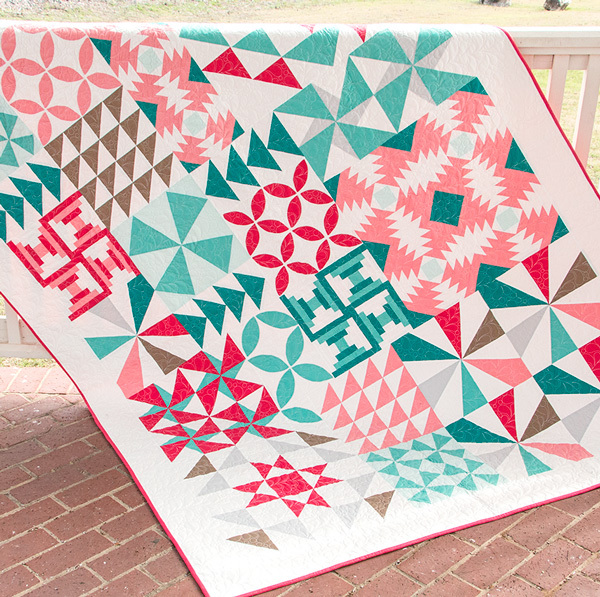 I chose colors that varied slightly from the original Fat Quarter Shop Quilt. and to see how this color combo comes together! 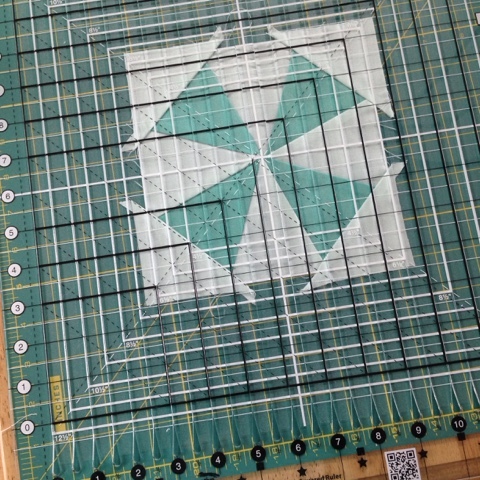 The directions suggest the Creative Grids Spider Web ruler which I already had in my ruler stash. but since I had the ruler,I used that. It easy to cut out and piece. I found that the smaller 6 1/2" blocks were a little more challenging to match points in the center. By the last block - I had it down pat. 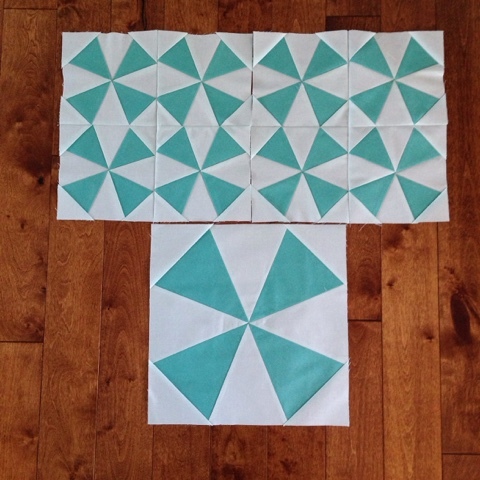 I ended up using the Creative Grid Ruler Stripology Squared. It worked perfectly for squaring this block because the center seam is so thick. The slats allow for flexibility and the block doesn't shift. Just a little help for accuracy. And here they are finished - first 3 blocks done!! I'm still here...I'm just a slacker. I finished this quilt top weeks ago. I used my quilt baby quilt pattern Oh Baby, Oh Baby available on etsy and craftsy. along with 20 other quilts!! but I'm not giving up the blog.